Ajith, along with wife Shalini and other members of the family, watched his Deepavali release ‘Vedalam’ at a special screening in a preview theatre in Chennai recently. 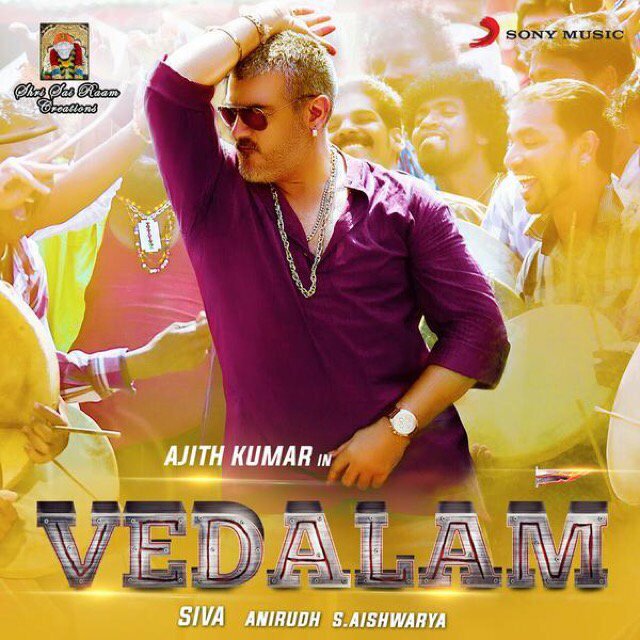 “The thala and his family were so happy with the film and lauded director Siva. They felt ‘Vedalam’ will be a complete family entertainer and will be liked by all sections of the audience,” sources said. Meanwhile, ‘Vedalam’ is gearing up to hit as many as screens as possible on Deepavali day (November 10) and it is going to be one of the biggest release of Ajith. On their part, ‘thala’ fans are getting ready to celebrate the movie’s release in a big manner. Directed by Siruthai Siva, the film produced by A M Rathnam has music by Anirudh.. Shruti Haasan has played a Kolkata-based advocate who is Ajith’s love interest and Lakshmi Menon his sister.